Stuck between needing a backpack and a duffel bag? 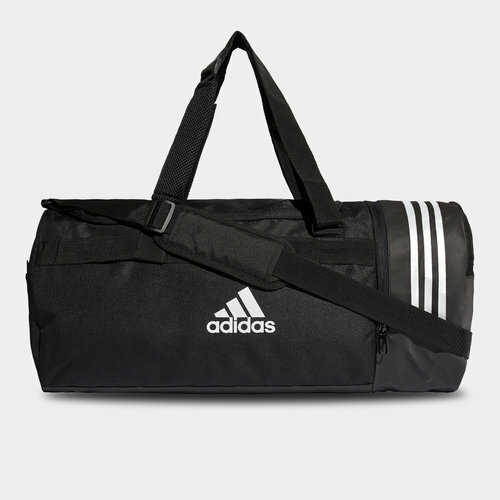 This adidas Convertible 3 Stripe Medium Duffel Bag in Black, White and White can do both. Don't forget any of your gear for the gym when you use this medium training duffel bag that converts into a backpack. With plenty of pockets for organising essentials, it has a ventilated compartment for storing shoes whilst the main compartment is zipped as is the end pocket. The team bag is made of sturdy polyester and has a coated base for extra durability.